The sight of this pink dandelion casts a whole new perspective on dandelions in general - if only our garden was overrun by pink ones and not the common old yellow ones! 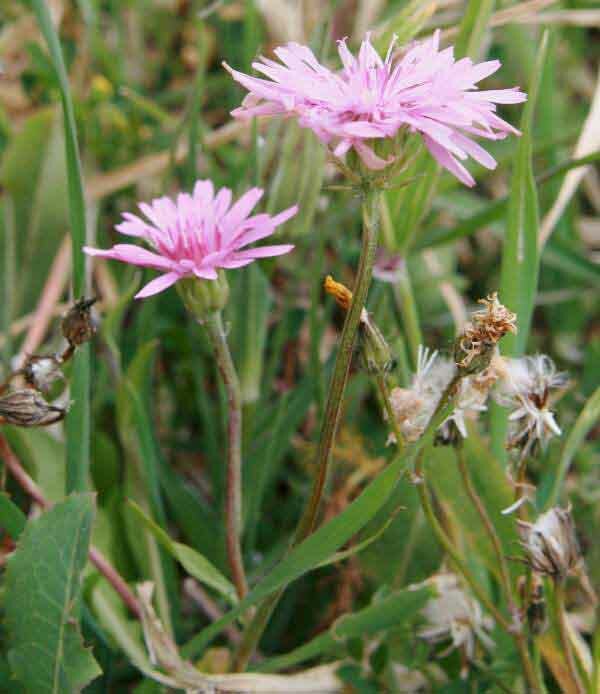 They are members of the family Asteraceae. 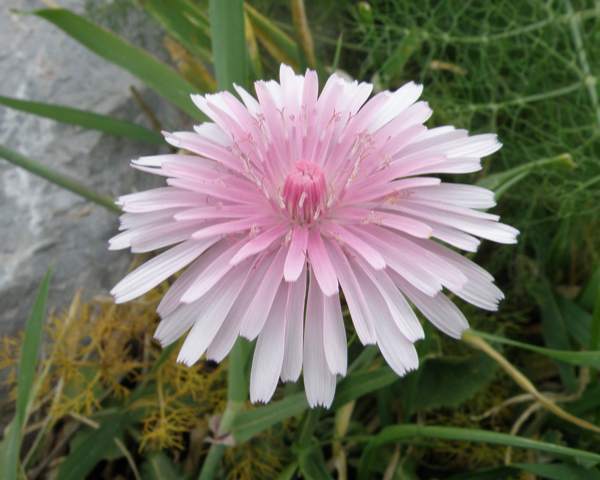 These pretty flowers can be found in Crete, southern Italy and the Balkans, where they flower from April to June. Old olive groves and other abandoned farmland are good places to look, but they can equally well be found on the roadsides. The plants shown on this page were photographed at the beginning of April in Crete, where they are widespread.